You may be able to receive reimbursement for the all or part of the cost of our ColdCure® and BFST® medical devices through your private insurance plan or Workers Comp. Just follow the steps below (where applicable) to ensure you receive reimbursement as quickly as possible. 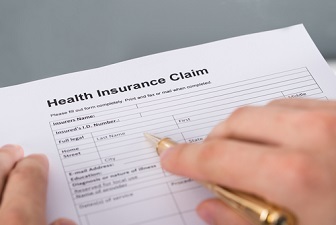 If you have a private health insurance plan, contact your provider about filling out a copy of claim form CMS-1500. Unlike some other CMS forms, the latest version of CMS-1500 is not available online. You need to fill out the CMS-1500 form that is current to 2012 as the previous version is no longer accepted. Once you've filled out form CMS-1500, your provider can submit the claim for you electronically or by mail. Ask your provider if they need copies of a written prescription and/or receipt to submit along with your claim form. Below we have included a link to a sample version of CMS-1500 in PDF format, for your reference. Since Workers Comp programs differ from state to state, you will need to find the Workers Comp website for the state that you live in. This website should tell you what form you need to fill out and where to send your claim. Your case worker should also be able to provide you with this information. Make sure you ask your case worker if they require copies of a written prescription and/or a receipt. Below are some codes and additional details that may come in handy when trying to receive reimbursement through your health insurance provider. You may need to refer to this section for information when filling out your claim form. The HCPCS Code for any BFST® product is E0210. The HCPCS Code for any ColdCure® product is A9273. The BFST® FDA Device Number is 890.5740. The ColdCure® FDA Device Number is 890.5700. The King Brand® company FDA Registration Number is 3008467558. The King Brand® company EIN is #98-1092364. Each different injury and condition has it's own ICD (International Classification of Disease) code. To find the ICD code for your particular ailment, follow the link below and enter a search term. For example, the ICD code for Plantar Fasciitis is M72.2. The above link is for the ICD-10 (2010). This is the most recent version of the ICD. Past versions of the ICD may contain old codes that no longer apply. Note from KB WebMaster - The text below is primarily intended to assist with Google properly classifying this page content. To learn more about our products please visit our website.<br>You can receive reimbursement for the cost of your King Brand BFST or ColdCure products through your private health insurance plan, Medicare, Medicaid or Workers Comp. You will need a written prescription from your doctor, a copy of your receipt and a filled out claim for that is specific to your health insurance plan. 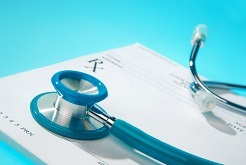 You need to fill out claim form CMS-1500 if you have private health insurance. 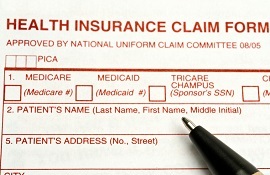 If you have Medicare or Medicaid, you need to fill out claim form CMS-1490S. For Workers Comp, visit the Workers Comp website for your state or talk to your case worker. This page has examples of claim forms, as well as instructions on how to fill out claim forms and a list of addresses for the Medicare and Medicaid offices. We also have HCPCS billing codes, FDA Device Numbers, an FDA Registration Number and ICD Codes.